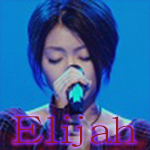 Utada Net.com / Forum - Utada News - KUMA POWER HOUR radio program starts April on InterFM! KUMA POWER HOUR radio program starts April on InterFM! Re: KUMA POWER HOUR radio program starts April on InterFM! 7th episode just wrapped up. Next episode - Episode 8 - starts in the morning, in less than 7 hours! Okay so it was a rebroadcast of Decembers show. Oh Dear, thank you a lot! Well, that was sure entertaining and I won't say I didn't enjoy hearing Utada slaloming between English and Japanese during the whole shows! lol There's something so infatuating in the way she speaks, somehow.